"Let me hear you make some noise!" 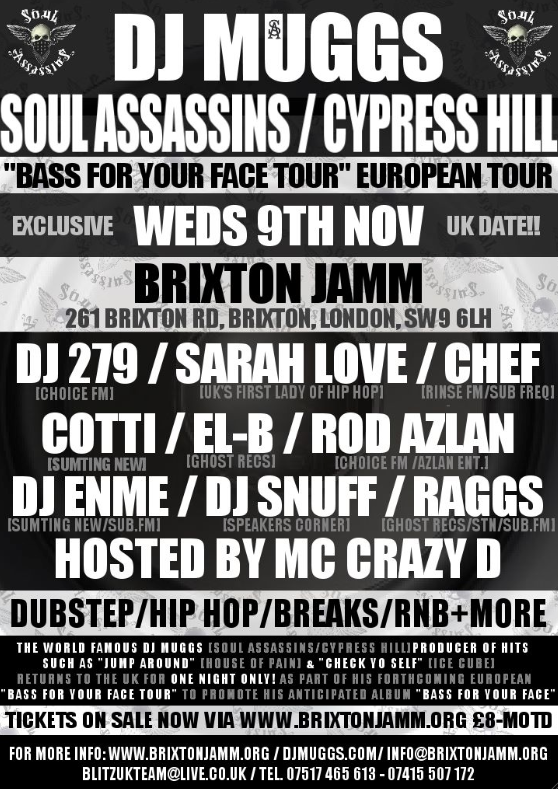 I'm happy to say that I have tickets for November 9th at Jamm Brixton to see DJ Muggs. It's a dubstep night and there's a host of other DJs in attendance but all I care about is seeing the big man himself, oh and the little fact that my brother is coming with me. It marks our first night out since he's moved to England and I can't wait to spend some time with him. 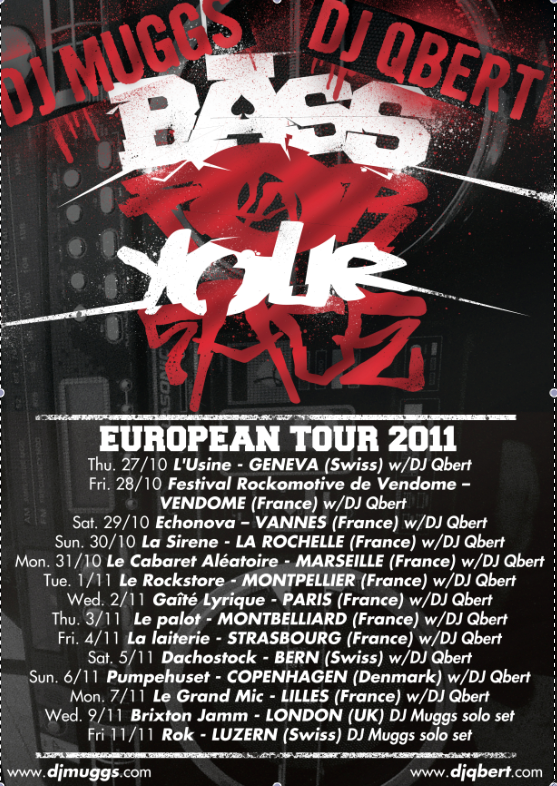 Muggs is promoting his new album BASS FOR YOUR FACE and is touring Europe with DJ Q-bert who I would have loved to see also, but alas he is not able to make the date. Rather that be disappointed I am really happy that Muggs was able to find time to sneak this unplanned spot in his schedule. I've never been to Jamm, and I have never experienced a Dubstep club night. DJ Solo is cursing me out right now! But having been a fan of Muggs' work since the early 90s I know I'll like what I hear. I applaud him for continuing to expand his repertoires and catalogue, for himself as much as the fans I'm sure. He is a heavyweight in Hip-Hop and this excursion no doubt can be afforded in the eyes of the critics, but the reality is that if you know Muggs then you are already in tune with his ideas no matter where they seem to come from. I would also like to say a big thank you to Muggs for continuing to rock worlds and keep us all in love with the music. At thirty-five and dipping my ears into the scene for the first time LIVE, I can't say where I'll fit in with the crowd exactly. I'm just grateful for the opportunity given to me. This is what it's all about.